Many people would like to go for vacations in a serene and secluded spots. 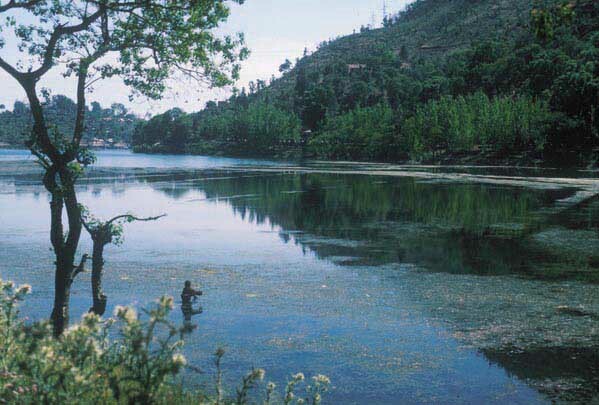 The spots can be beaches, hill stations, adventurous forest region or calm and quite valleys beneath a lake. In most of these renowned tourist destinations camping facilities will be available. There can be nice luxurious resorts or forest huts or good camps. But camping in a tent is the most exciting experience one can get, and especially with family or friends. It will be an unforgettable vacation for all who spent nights in tents with viewing the nature's gift all around and in the lap of Mother Earth. The satisfaction and enjoyment derived out of such camping is beyond words. It is a fun merged with relaxing moments. But it is very important to know how can you set up a tent for camping? 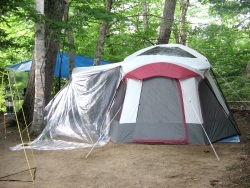 What precautions you need to take while camping in a tent. This article will deal with some of the important Tent camping tips. 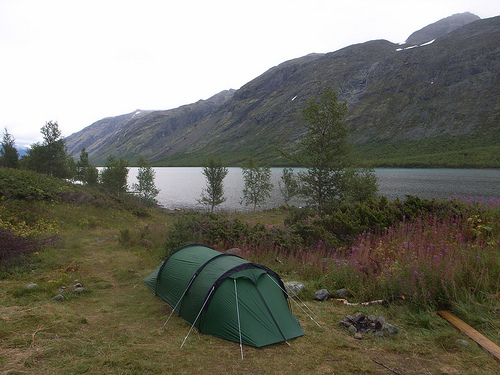 These tips will help you to ensure a comfortable and memorable camping in a tent. o Before the trip itself, make sure that you are carrying with you all necessary camping materials including the tarp for tent. Check thoroughly the tarp for any defects like leaking points, loose stitching and many such spoiled portions of the tarp. Tarp need to be leak proof. o See that all other materials like poles, tarp fixing materials and pole fixing equipments are taken. o Make sure that you use tarp which is rain proof. 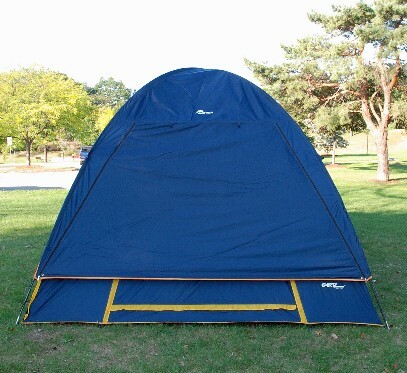 This simply tells that you can use a rainfly which will cover full tent, including the top and sides. It will have provision for ventilations and openings. It will ensure the inside is 100% proof against rain. Always use a rainfly that provides full coverage of your tent. o Use a good floor cover, covering entire area. It will assure you no wet or dirt inside the tent. It is better if you can make a plastic bottom with cloth made sheets in the top of this floor cover. Cloth cover can be taken as per the climate, in winter season woolen sheet and in summer cotton sheet can be used to cover the floor. This will ensure comfort of staying. o As far as possible select a flat area for tent. Undulated regions will give many problems. If possible make the ground tidy by removing the dirt, bushes and insects. Level the camp area before setting up the tent. Also clean the surroundings as much as possible. o Do not select the camping place near stagnant water ponds. These ponds will be the haven of mosquitoes and you will not able to spent comfortably there. o Make sure that the tarp is anchored very strongly to the poles. Poles need to placed by reinforcing with rubbles and mud. Also make sure that all cross wires and threads are properly fixed before the first night. o Put some borne fire outside the tent in night. This will keep off animals and insects reaching the tent. These are some simple but important tips which will help you in making good tent for a comfortable camping. To learn more about tent camping tips [http://campingtentsonline.info/tent-camping-tips] visit Camping Tents Online [http://campingtentsonline.info] for current articles and discussions. terima kasih banyak atas tipsnya..